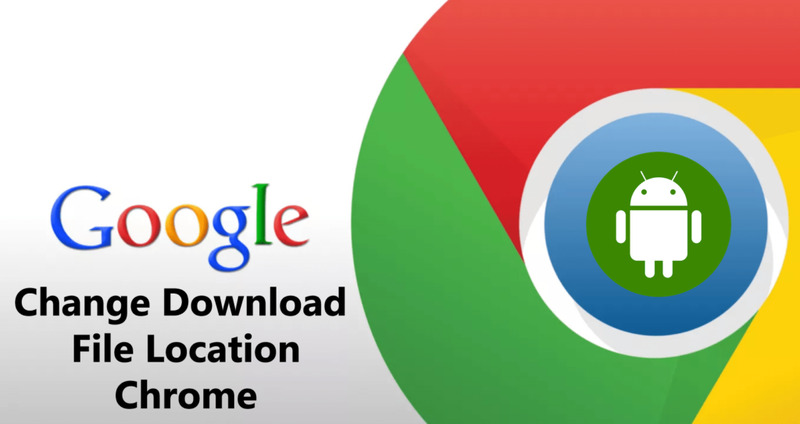 Wonder how to rename download file and change download location in Chrome for Android? The following blog post will guide you on how to do that. Chrome is a popular web browser available for mobile devices. It offers users lots of useful features which everyone wishes to have while surfing the internet. The engineers at the back end are working hard to make the browser best. Recently the company introduced the Chrome redesign version, and there’s a long way to go for Chrome for Android. 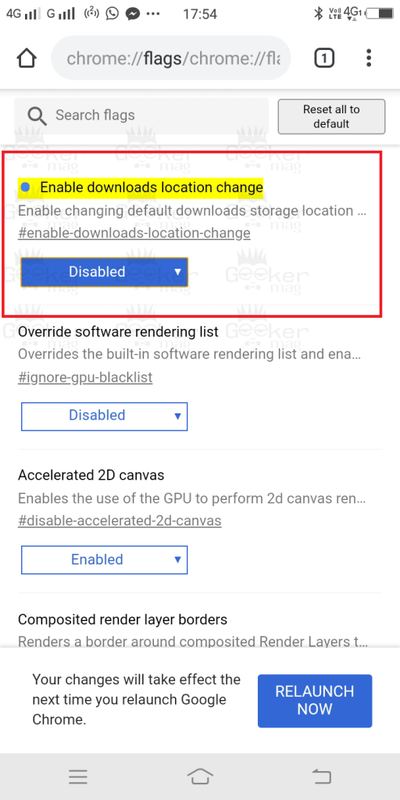 The recent activity in the Chromium Gerrit suggests that the upcoming release of the Chrome will give users options to rename download files and change download file location. Previously when users download a file using the Chrome browser, it goes straight to Download folder without your permissions. But there might be users who want to rename the file before downloading or want to change different folder or location for downloads. Currently, the new options downloading options are enabled by default in canary and developer version of the Chrome browser for Android. Tap on the Hamburger icon available on the upper right corner. Here, tap on the Downloads. In the next screen, tap on the Gear icon. This will further give you Download location option. Tap on and select the location of your choice. Note: Lots of users complaining that this functionality is not working for the users. Here, using the drop-down, select Disabled. At last, tap on the Relaunch now button to apply the changes. After the relaunch, the Download option from the browser will be gone. 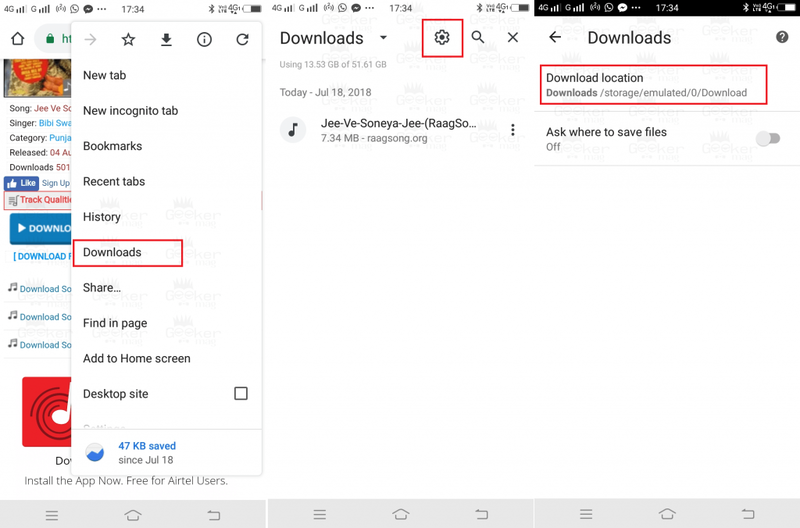 Find my blog post on how to change download location in Chrome for Android? I would like to know your thoughts in the comments. I do not have the settings cog icon in my Downloads section. 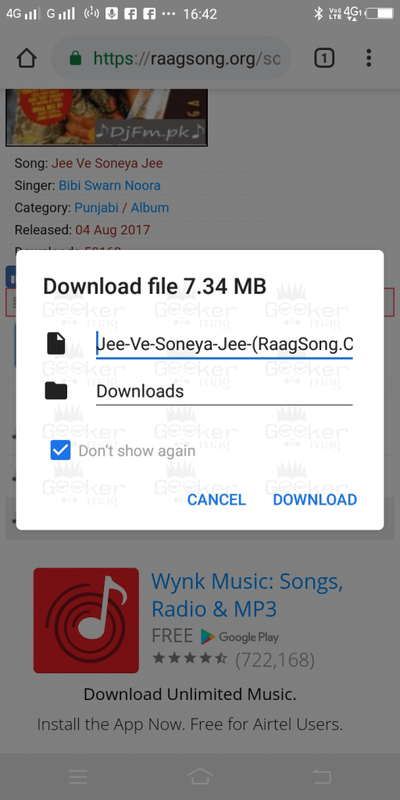 It just lists my previous downloads. I have a Galaxy S7. So, I can’t go past step 1.